Lots of guys are waiting for the phone call ... I've heard of a guy couple of years ago waited 1.5 years before the call so if you've interviewed in July/Aug it's still not that bad of a wait. I'd suppose they want the direct entry guys and those with jet time in as soon as possible. I've been told that hiring is done for the year, as in the company knows who they want in the remaining 2 or 3 courses. However, the calls for groundschools typically go out a month in advance. So although it's already known internally who will be offered a December or January groundschool, the actual candidates probably don't know yet. They should expect a call in the next month or so. Just because you haven't heard anything, don't assume it's bad news! Good to hear, though the process is a little fuatrating if you have a couple of offers on the table and Sunwing is your first choice. Unfortunately other companies aren't happy to wait three months for a yes from a candidate...! Can anyone explain why take cadets over experienced pilots? A 1500 hr instructor / float pilot / Navajo driver would certainly make a better candidate than someone fresh out of school. Im sure the cadets go through quite a vetting process, and turn out great, but to my understanding, the pay rate is same for a cadet or an OTS FO...so why not get the most bang for buck when selecting your air crew? Last edited by PT6onH20 on Sun Oct 28, 2018 4:59 pm, edited 1 time in total. Simple. 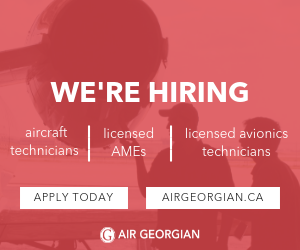 A 1500 hour instructor/float pilot/Navaho driver has the qualifications to move on to Air Canada or an airline overseas after a year of employment however a 250 hour cadet is pretty much guaranteed to remain at the airline for three to four years before they have the qualifications to move on. The company has increased the percentage of cadets in ground-schools as a method of pilot retention because unlike making improvements to compensation and benefits in the hopes it will convince someone to stay, simply hiring a 250 hour pilot with limited options is pretty much a guaranteed way to ensure they stick around. What kind of experience level do candidates have that get on with Sunwing these days, specifically hours and types of aircraft flown previously from which operators? Any input would be good-PM me also if you prefer. I think at least 90% of Sunwing's pilots are hired via internal reference...I could say its closer to 100% but I'm sure some AVCan user would prove me wrong! If my sources are right, FOs interviewed this time around had at least 3000 TT..some with jet time and some with none. This obviously does not include cadets. DECs with over 10000 TT were also hired this summer...guys from Emirates, Cathay, etc. Not sure if DECs had internal references tbh. To answer your question - no specific operator. Guys from Jazz, Georgian, Encore, Swoop, Skyservice, corporate, etc. make it to Sunwing. That was just too tempting ! Anyone know when they will be posting again for positions? We actually stopped hiring because practically no one was leaving. The only place I can see anyone going is air Canada. You’d have to be brain dead to leave for westjet now. Crazy news at Jazz and likely AC these days. Sunwing is looking great. Is there currently a bond at Sunwing? From their CBA: 13.1.2 Newly hired FCMs will be required to sign a training bond. Thanks. Do you know the terms of it? That language is in the CBA, but no one has signed a bond in the past few years, and I don't think there's anyone on the property who is still under the bond. I'm thinking that it will be removed with the next CBA. Any word on upcoming hiring this spring? HR started to call références yesterday. Are they going to post an ad? Do you mean referrals? Or references for people previously interviewed?